This past Friday night my wife and I were sitting peacefully in our living room watching a movie when suddenly we were jolted out of our cinematic fantasy world by a 5.1 earthquake with an epicenter of about ten miles from where we live. I didn't immediately realize what was happening, but my wife, who is like a human earthquake sensor, scrambled out of her place on the couch and I was soon behind her. Where we were going I don't know, except to be away from the cabinets that could potentially fall on us. As we stood in the middle of the floor, the ground rumbling beneath us, I heard a shattering of glass from the kitchen and the thump of something upstairs falling to the floor. Fortunately the house remained intact and soon all was calm. I put the movie on pause in order to assess the damage and see what they were saying on TV. The broken glass was in a cheap picture frame that fell off the wall. Upstairs a few knickknacks were knocked over and a small box had fallen to the floor. Otherwise all was well. We were safe and the city was not a disaster area. There was of course the possibility that what we had felt was merely the precursor to something larger still to come. With a bit of jittered nerves we resumed watching the movie since it was only twenty minutes from the end. It was a pretty lousy movie anyway. The Wolf of Wall Street was up for a few Oscars so we had decided to order it from Netflix. My wife and I both like Leo Dicaprio and as always I felt he did a superb acting job in this film, but the character he played and the movie in general was morally bankrupt with no redeeming values whatsoever. With Hollywood turning out garbage such as this film maybe an earthquake is what this town needs as a wake up call. 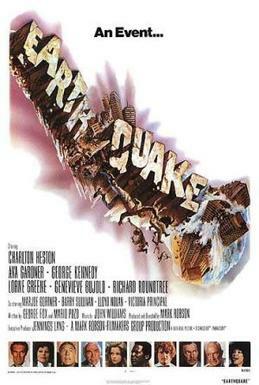 As we returned to the news reports after the film was over, there was all of this mention of being prepared for "the big one"--having a emergency plan in place and supplies in readiness. I've been hearing this since I moved to the Los Angeles area and have yet to make any preparations. They can't predict when any "big one" is going to come if ever. And when it happens it will come as a big surprise. For some people no amount of advance preparation will make any difference whatsoever. Sometimes people will talk about earthquake weather. Just like I've heard people talk about tornado weather back east. There are many differences of opinion about what the weather is like before some major disaster. The term I've most often heard cited is "the calm before the storm". Perhaps there is a calm period before a storm, but mostly I think it's a matter of illusion. One minute you're peacefully eating breakfast at the kitchen table and then without warning an airliner crashes in your neighborhood and all the houses are immediately destroyed or on fire. Dramatic I know, but nothing like hyperbole to make a point. Then again I think I might be missing the real point I want to make and that is today is the last day before the Blogging from A to Z April Challenge of 2014 begins. Some of you might be ready and blissfully enjoying a calm before the storm. Good for you. I suspect there are many like me whose blogworld is already shaking as we frantically try to get ready for the month to come. Are you trying to write posts in these final hours? Are you trying to square things away in your life so you'll have more free time for blogging in April? Yeah, that's me. No earthquake supplies, no storm cellar--just waiting for the big one to come and hoping I'm not sitting on the epicenter. But that is such as it is. Today I ramble. Tomorrow I begin the greatest blog event of them all. In my first A to Z post I will be incorporating another Battle of the Bands. This may be unfamiliar to some of you. You'll just have to come back to find out what it's all about. Those who know about the Battle of the Bands will know what's coming. Let me dazzle you all with my deft handling of the two blogging events smoothly melded together into one coherently themed post. Well, it may not be earth-shaking, but it's not going to be The Wolf of Wall Street either. Have you ever been jolted out of a peaceful circumstance to be thrown into turmoil? If you saw The Wolf of Wall Street what did you think of it? 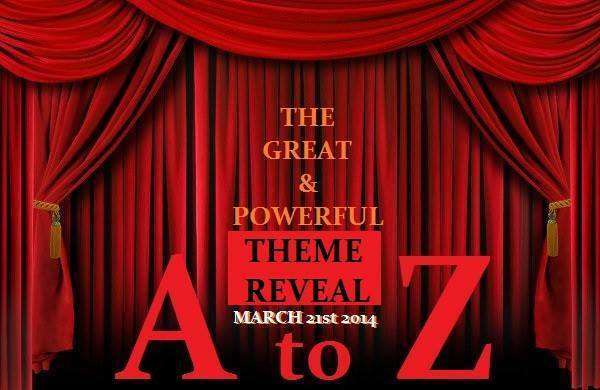 Are you all ready for the Blogging from A to Z April Challenge? It has now been a little over two years since I opened my Twitter account. I can't say that I know much more about Twitter now than I did back then but I suppose I've gotten better. With well over 5000 followers and nearly 8000 tweets to my account, I guess I'm not what one might consider a Twitter heavyweight, but I'm doing moderately well for whatever that's worth. When I first started on Twitter I naturally began following all of my blog contacts who had accounts and a few other people I know. I also began following every literary agent and publisher I came across. I figured by doing so I'd get some insider knowledge about things I'd need to know about being a writer and perhaps even get a foot in the door with some of these contacts. Wrong!--at least as far as I can tell. First of all, I discovered that most of these agents and publishers had a ton of followers--probably writers like me with the same goals as I have--and they had a minuscule number of accounts that they were following. They were unlikely to see any of my tweets and probably didn't care whether they saw them or not. 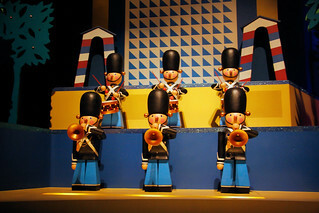 Like any high profile Twitterer, they were sitting in their high places tweeting their tweets expecting their fans to revel in everything they sent into Twitterland. Where I would excitedly note who followed my account and courteously follow them back, they were probably deleting every "following" notice they received as quickly as they came in. Actually they probably had an assistant or an intern casting people like me off into non-entity limbo. Not only would they be unlikely to ever follow my Twitter account, I discovered that most of the publishers were just tweeting marketing information about their products and many of the agents were tweeting absolute nonsense. They were making comments about the weather or what they ate or some such usual nonsense that many people tweet about. If I tweet about stubbing my toe nobody's especially interested, that is if they even happen to notice my tweet in the first place. An agent needs to be tweeting me something that's going to provide me with information that is going to lead me to success. I guess not though. After all they're just people too and they don't have all that much to tweet about either and if they do have something about business it's about their client or something like that. I eventually decided that I didn't need the agent tweet clutter in my feed and started unfollowing all of the agents. I get enough dumb stuff flying through my Twitter feed. Oh, and if you're an agent and you happen to be reading this post, I wasn't talking about you. I love you and would like to start following your Twitter account. Just let me know your handle and I'll faithfully read about what you had for lunch or what you're wearing today. And if you're ready to sign a contract with me then let's talk. I love all of your tweets! You can find me at @ArleeBird. I follow back! 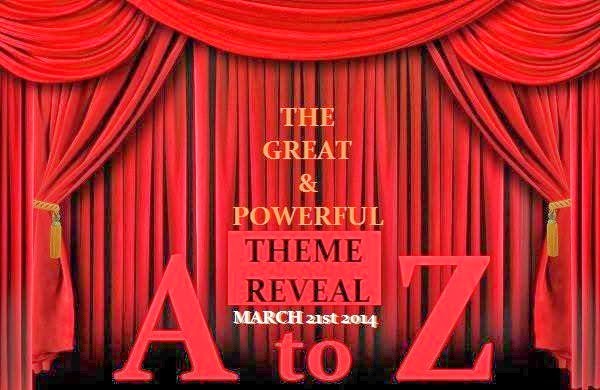 If you want to get to know some great folks on Twitter then join in the next A to Z Challenge Chats on Twitter tomorrow (Thursday March 27th at 1 PM and 8 PM EST). This is a good bunch of people who have a good time and dispense some useful information. You can even join in if you're not signed up yet for the Blogging from A to Z April Challenge and just want to know more about it. Have questions about A to Z? Jump into the conversational fun and just ask. The previous chats were very enjoyable--much more so than I had expected. All agents and publishers are welcome to join the A to Z chat sessions cause I really do like you. Just ignore what I said earlier. Why Should You Come to #AZchat? A to Z co-host Pam the Unconventional Librarian tells about why you should attend the A to Z Twitter Chats. Please drop over to her site and take a look. While you're at Pam's blog, if you haven't done this already, please stop in to check out my guest post about one of my favorite books. Do you follow Twitter accounts of literary agents, publishers, or other professionals whom you think can be helpful to you in your field of interest? Do you follow any celebrities or well known people? Can you recommend any particularly helpful tweeters who post useful content?